Today’s post is written by Arnout Orelio, a Lean healthcare practitioner from the Netherlands. The inspiration for this first guest post on my blog is based on connectivity and shared learning. Two of the main intentions behind starting this blog were to connect to a broader community and share what I’m learning – and to engage in dialog to learn from others. I’m happy that my writing has resulted in both, as evidenced by this first guest blog post. I haven’t met Arnout in person (yet! ), but I look forward to when we are able to do so. Arnout and I met through this blog and have shared thoughts in this blog’s comments and on social media. We share a mutual passion as Lean practitioners supporting transformation in healthcare and for seeking out learning opportunities however we can. 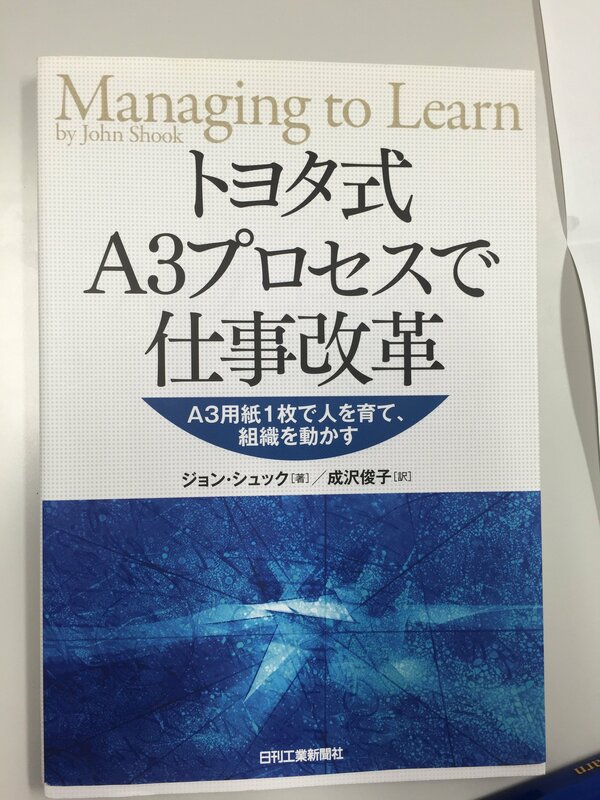 Arnout told with me that he has been learned a lot from my blog, especially from my conversations with Isao Yoshino, a retired 40-year Toyota executive who has become a friend (and mentor) of mine over the past 18 months, and my posts about continuous improvement (kaizen) in healthcare in Japan. Below are Arnout’s reflections from the Applied Lean Leadership Conference from January 2016. The views expressed in the post below are his. I hope you enjoy learning from Arnout’s experiences at the conference as much as I have. Why this write this post? For more than 20 years, I have tried to learn how to improve, while teaching others along the way. Reading Katie’s humble blog, I have discovered many things about myself. Among others, I feel like my learning is too slow and that I’m judgmental towards senior leaders when I don’t see that they are taking as much action about quality and safety as I think they could. Listening to a podcast of Geoff Woods, The Mentee, I came to the conclusion: “I need a mentor, like Mr. Yoshino, that Katie was writing about”. 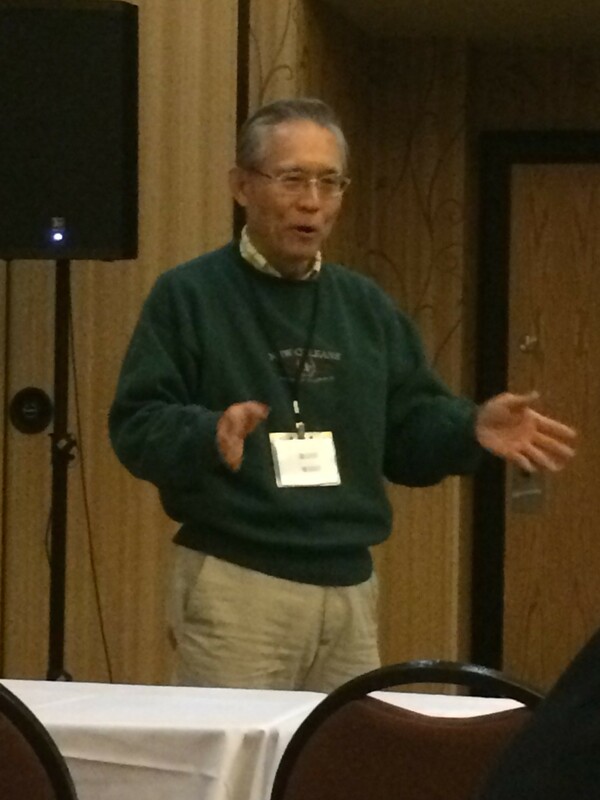 Not only did Katie provide me these lessons through her blog blog, she also opened the opportunity to meet Mr. Yoshino! 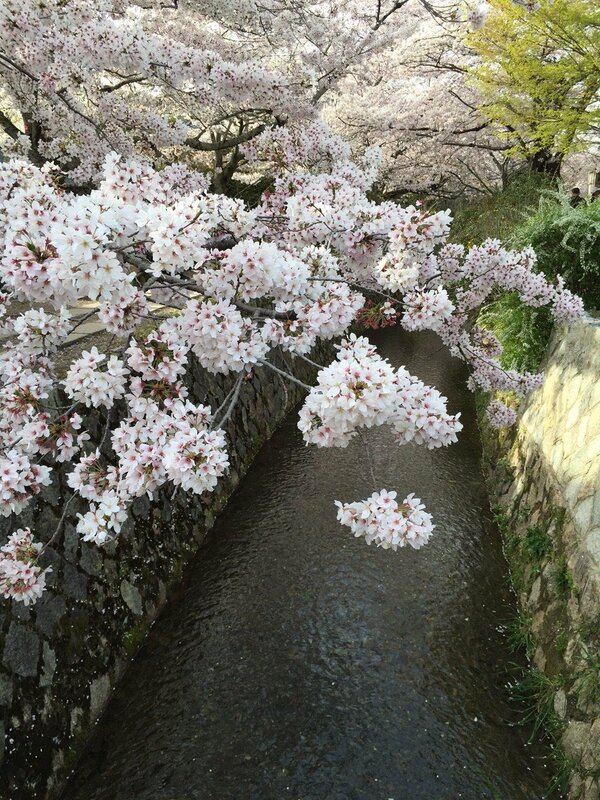 In one of her posts, she said that Mr. Yoshino would be speaking at an Association for Manufacturing Excellence (AME) conference, organized by one of her colleagues Skip Steward. The Applied Lean Leadership Conference would be held in Janaury 2016. I applied right away! This guest blog post can be seen as small thank you note for Katie for sharing what she has been learning by sharing my takeaways from the conference. So in this post I’ll tell you about some of the people I met and what I learned from them. Why attend the Applied Lean Leadership Conference? 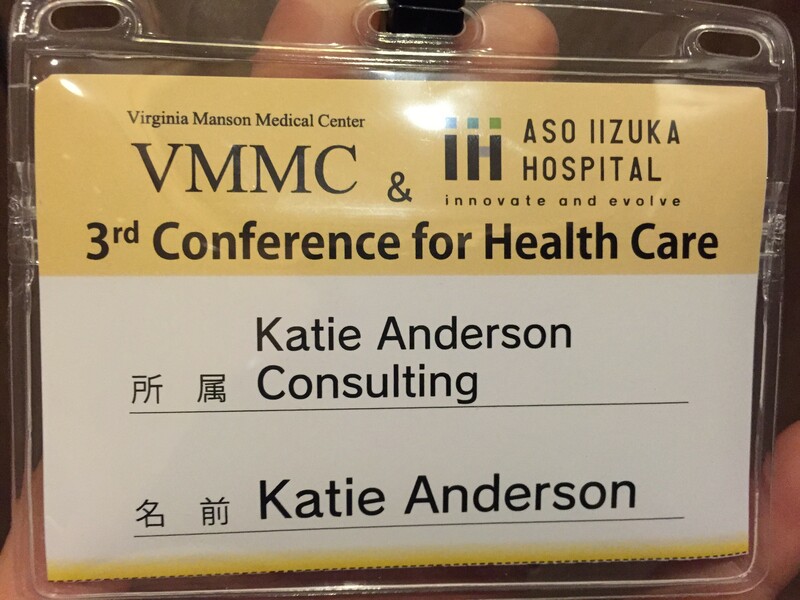 If it weren’t for Katie, I would never have considered attending the Applied Lean Leadership Conference. The conference organizers didn’t target me, in the sense that there was no international marketing of any kind. In fact, I was the only one (besides Mr. Yoshino) who took an intercontinental flight to get to Tupelo, Mississippi. And the conference was organized by the AME, an organization focused on manufacturing, and I am mainly in healthcare. So why did I go?? When I looked at the conference website, the program and the people looked awesome! It included both manufacturing and healthcare. The Monday program alone was well worth the trip and money, even all the way from the Netherlands. AME conferences are great value for little money! On the Monday before the actual conference, as I had anticipated, the gold was presented. The day started off with a workshop from Mr. Yoshino on Hoshin Kanri (also known as strategy deployment) and how it relates to the A3 process. Next we went on a tour to the Toyota plant in Blue Springs, Mississippi (TMMMS), where they produce the Corolla. It was like driving trough a symphonic orchestra. This site visit included a presentation from two operators who shared what they had learned and achieved while they were a part of a quality circle. Both the depth of their analysis as well as the results from their team’s improvement efforts were astonishing. They saved almost half $1 million per year for the company and 1.1 gallon of fuel per year for the customer. This was all done in their own spare time! Back from the site visit to TMMMS, I went back into the room where Mr. Yoshino was holding another session. And since he got more time this session, there was a lot of extra valuable information. He presented the NUMMI case: the joint venture of General Motors and Toyota. In the early 80s Mr Yoshino had been responsible for the training that led to the startup and amazing turnaround of an old, poorly performing GM plant into a world-class facility (NUMMI) in only one year. One of the first people he hired to make this project happen was John Shook, currently the CEO of the Lean Enterprise Institute (and one of the other key notes of the conference!). Later that afternoon and far into the evening, I got to meet both John Shook and Mr Yoshino, who presented the NUMMI case in more detail together. Like I said, they took this one facility, with the same people (! ), from the worst to the best GM plant in one year! Keynote speakers like Mr Yoshino, John Shook and Patrick Graub (TWI institute) mixed with an audience eager to learn, making the conference itself very valuable. 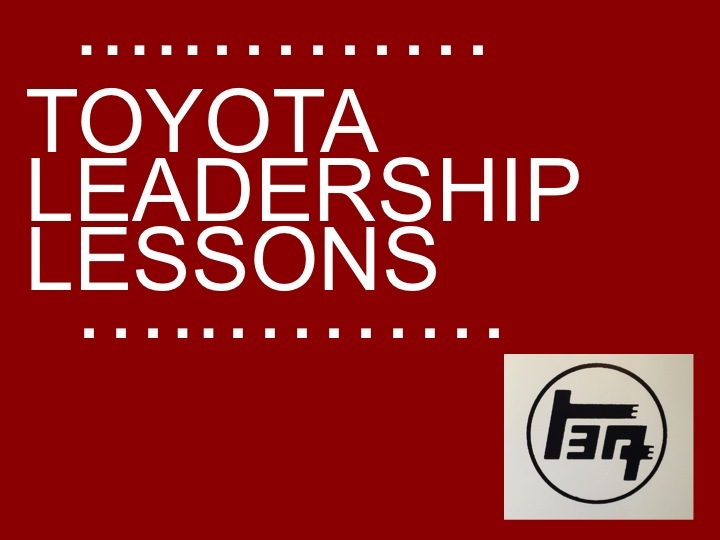 I learned that this eagerness to learn (from the Americans) is what ironically made the Japanese industry (including Toyota) world class, surpassing the USA (and Europe) in many areas. So never think you are already there. For those of us who wanted to eat the whole elephant and keep learning, the after the conference additional workshops were offered. I selected the one on Training Within Industry (TWI). You should too, if you ever get the chance. TWI is one of the best thought through methods I have ever been taught. Each step has an specific function and purpose. The three parts (Job Instruction, Job Relations and Job Methods) are very well documented and are easy to follow. Learning to teach TWI takes only 5 times of 2 hours each (of fully standardized training). TWI is the cornerstone of the lean system and no system will last without it in place. Toyota is still using this method (in its original form!) to train everybody in the company. Although there are many more things that I learned at APLL conference and from Mr Yoshino and his stories, the number one thing I’m taking from this event is how Mr Yoshino approaches his “students”. Mr. Yoshino supports his student, listens and listens, to see how he can help. He is an actual servant leader. “Wait. Keep on listening. Be open to anyone who needs help”. So to finish this blog: What are you working on? And how can I help you? Let me know and I’ll find a way. Any feedback on this blog is most appreciated (you can provide them below) and I’ll let you know in the comments how I applied it. Arnout Orelio is a senior Lean coach and owner of “De Verbeterpraktijk” (“The Improvement Practice”), a Lean consulting practice based in the Netherlands dedicate to healthcare transformation. Trained as an engineer. Arnout started his career in the automotive industry (Mitsubishi, Volvo) were he learned first hand the principles of modern production management. In 1999 he joined a Lean consulting firm where he specialized in lean management as a consultant, trainer, coach and mentor. In 2005 he formed a team at that firm to promote and spread lean thinking in Dutch healthcare. At the same time Dutch hospitals started their first experiments with lean, many of them under his company’s guidance. From 2007-2010, in his role as partner, he was responsible for the team that led lean transformations in healthcare, services and office environment. In 2010, Arnout founded “De Verbeterpraktijk”. Its mission is to create World Class Healthcare. We support organizations, like (academic) hospitals, clinics, rest homes, practices, etc. You can connect with Arnout on LinkedIn, Twitter, and via email (arnout@deverbeterpraktijk.nl).